Ahhh, nothing beats the beauty of a crisp white button down. It’s a classic closet staple, you can use it for tons of different occasions and it’s the perfect canvas for your looks! So today I styled this timeless classic with olive bottoms and brown suede shoes. Finished it off with an avocado-colored laptop sleeve and watch just to add a bit of color. 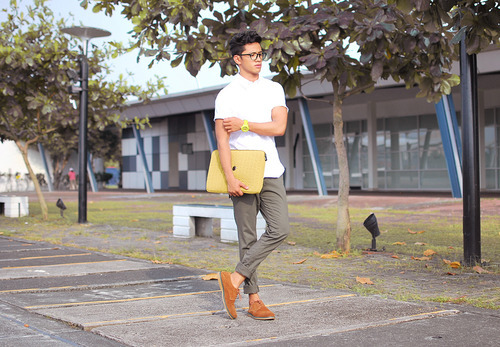 What I’m wearing: white button down (Muji), navy green chino pants (Oxygen), avocado-colored watch (Mossimo), avocado-colored laptop sleeve (Kipling), eyeglasses (SM Accessories), brown suede shoes (Topman). Hype this on lookbook here. 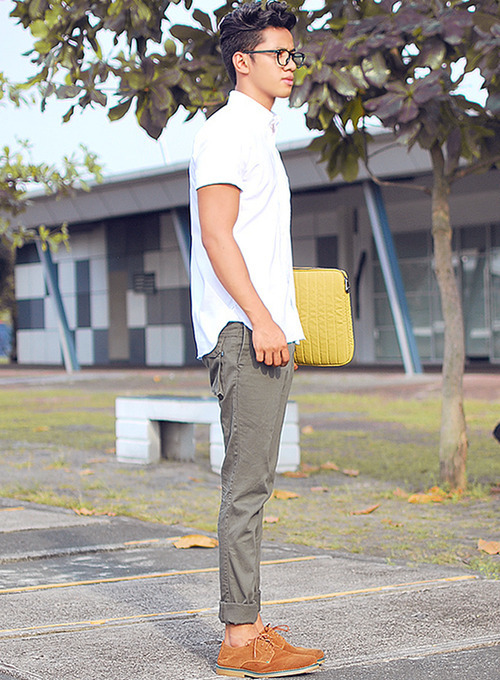 White button down from Muji | I used to hate wearing white because 1) I always manage to stain it. 2) It makes me look darker than I already am. If I remember correctly, I only have 2 outfit posts wearing white! (Check it out here & here). Haha but I started to really appreciate them when I got this button down from Muji! I absolutely love the quality of clothes (and furniture) there. You can tell by the fabric that it’ll last for a very long time. 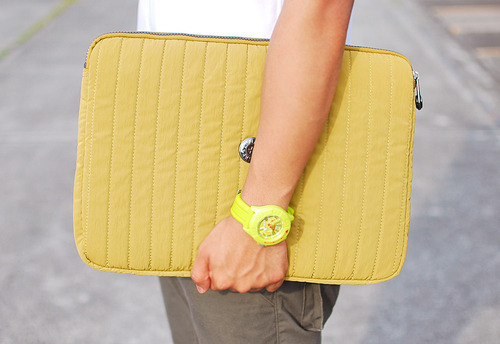 Laptop case from Kipling | Watch from Mossimo | Lahat na ata ng nakaka-itim, sinuot ko ngayon! Haha! The watch was sort of an impulse buy. Not sure if it suits me but I really like the color and how sporty it looks! Plus, I got it on sale! Okay I don’t feel so bad now. Haha! Eyeglasses from SM Accessories | After you’re done reading this post, make sure you guys head on over to SM Mall of Asia and take advantage of the Big! Big! Sale! They’re open till midnight! I also prepared a few shopping tips to help you guys out! 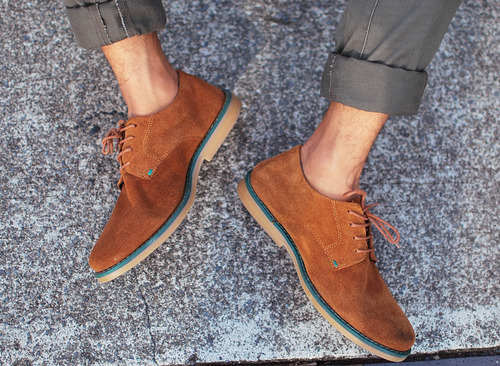 Suede shoes from Topman | Great pair of shoes, got lots of compliments from my fasyown friends. Ha! I’m excited to style this pair with tons of different looks!